As with all my vehicles it must be UK road legal and driveable. 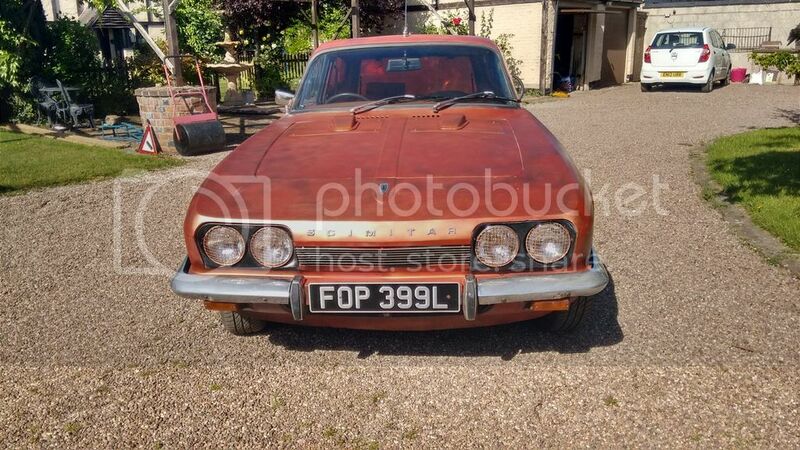 It’s a 1972 Reliant Scimitar SE5a, quite a rare sports estate. 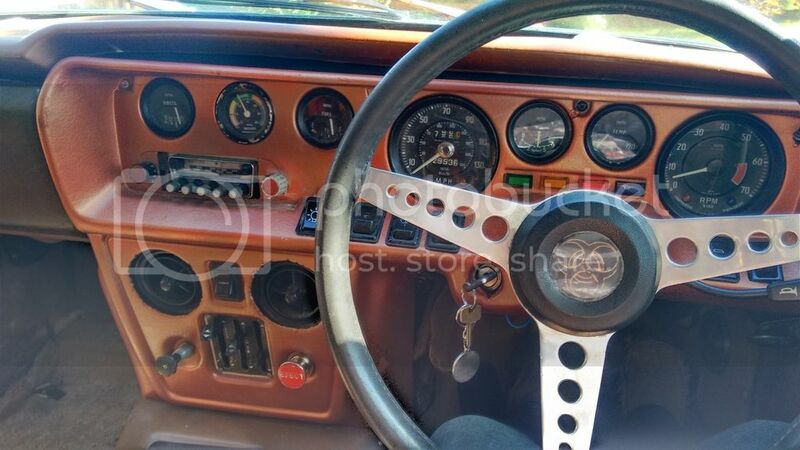 I fell in love with it when I opened the door and saw how many gauges it had. Best of all there is a 3 litre V6 engine under that bonnet and it’s given a few people a surprise being overtaken by a 46 year old car. I was going to do more to it but love the simplicity of its’ lines. Do I miss the steampunk here? Naw, the cars in fallout are atompunk. This is just a car :p copperish car. I call it paintjob Slap some stuff on (nope, no gears). That is a most interesting looking car there. Nothing like it on this side of the pond for that time period, save really underpowered econo boxes. Oddball and quirky like the American El Camino pickup-car hybrids. Hm, well its very strict here, but I dont think visual enhancements are a big problem. Weld something on there, new paint. a visual overhaul would be a problem at all. That is a lovely bucket! 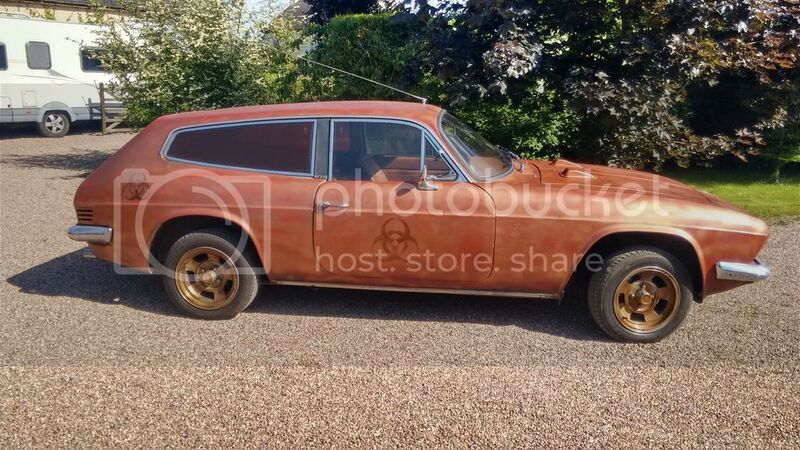 Regarding the exterior, perhaps a few air scoops on the hood and or roof, and faux exhaust tubes coming out of the sides? Ohhh and fender extenders and running boards? Nice car. I like what you've done with it. Of course these days it doesn't require an MOT.